Goodbye to last week; sort of glad to see it go. One of those weeks that was more emotionally tough than busy but it's the past and we move on to a new week. This is the week I will make myself accept that fall is here. Even though last night I was sitting outside until midnight in shorts and a short-sleeved shirt, eating s'mores. Best of both worlds! Listening To: My latest Spotify playlist is the Happier 911 Songs playlist which I discovered through Gretchen Rubin's Happier podcast. It's all songs that her readership/listeners suggested as songs that lift them up when they need a boost. I'm finding a lot of new-to-me songs and artists. Watching: Football and storm and fire coverage. Those fires in the west are terrifying and so under-reported. Reading: About to finish The Martian; I'm really enjoying it even though I do skim over a lot of the scientific calculations. They're essential to the book but there's no way for me to even know if they're accurate so I don't need the details. Next up, I think, is Joe Starita's I Am A Man. Making: A mess of my kitchen as I repotted all of those plants I brought home from Milwaukee. "Why didn't you do that on the patio?" The Big Guy asked me. Yeah, I don't know. Easier for me to go scour the house for other things to use as pots, I guess. I shopped for pots this week but just didn't find enough things I liked for a reasonable enough price. So I hit up the Goodwill and shopped my house and I'm pretty pleased with the results. I'll keep looking for more permanent solutions but for now, this works. Planning: On finishing up my fall decorating today. I always start the fall decorating with natural materials (acorns, apples, small mum plants). I'd leave it at that for now but Miss H insists that the gourds and pumpkins be added right away so I'll pull up those boxes today. I wish Trader Joe's had their tiny pumpkins in already! Thinking About: All of those in the path of Hurricane Irma and the wildfires. Enjoying: So many bookish things (see last Thursday's post). Also, pretty excited that I've (finally!) 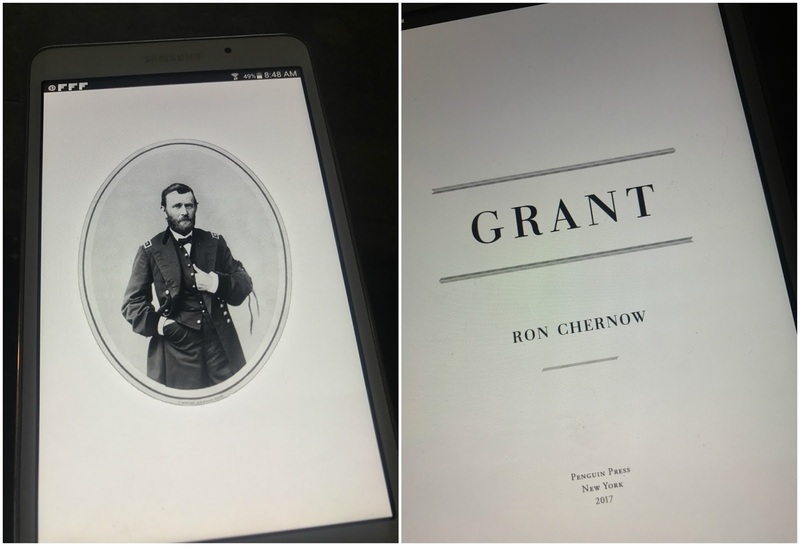 been approved to get an early read of Ron Chernow's Grant - all 960 pages of it! Feeling: Like I just want to curl up and read all day. My house says that's not really an option, sadly. Looking forward to: A quiet week. 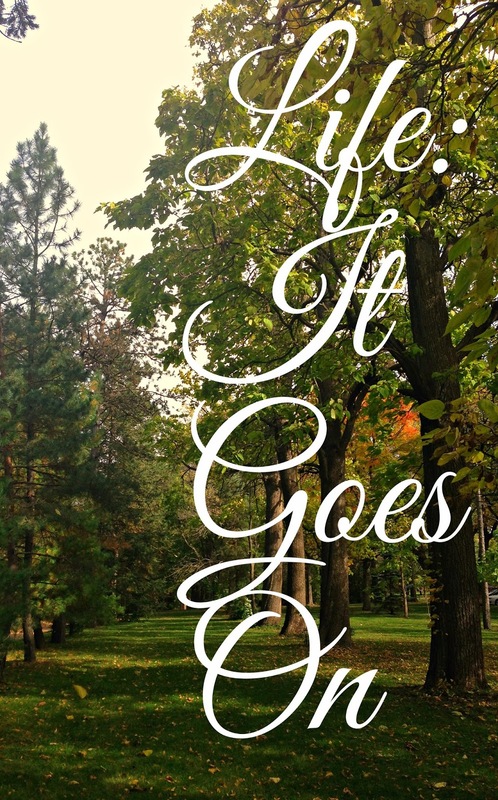 Question of the week: Tell me one thing you love about fall. Fall decorating . . . I usually don't pull out the fall decorations until the week before Halloween. LOL I'm so bad. But, in my defense, it doesn't really start to feel like fall here until mid-October anyway. I could use a week of reading, just reading. That sounds so nice! Actually, those scientific calculations in The Martian are accurate and worth reading. There are some great one-liners interspersed throughout them! I love the light in fall. I don't know how to describe it but things seem crisper and brighter. Spring seems fresh. Fall is...well...fall. Sorry this past week was a rough one but hopefully this next week will be nice and healing. I haven't read The Martian but we did watch the movie and really enjoyed it. My husband is an aerospace engineer and the vehicle that's lifting off at the very end of the movie was the first vehicle he was a lead engineer on so that was really exciting to see. I'm thinking of pulling down all the fall stuff this week. We'll be out of town some in October and I want to really have a chance to enjoy it. Plus it's finally not 90 degrees so it's vaguely fallish now!